My husband and I were having cold glasses of iced tea when his sight were directed to my daughters who were zombified by computer games on our laptops. He asked me if I ever miss my childhood times. Growing up in the ‘80s, we both remember how much fun we had playing outdoors with our friends and neighbors, especially during summer. He would bike around our village, I would play patintero or piko, or hang out at the neighborhood park. It was an idyllic childhood. And now, as a Mom of a two girls, a 6-year-old and 8-year-old, I did somehow wish that my children could spend more time outdoors just like I did. Aside from the fun of the great outdoors, I’ve read from experts that outdoor play can help stimulate children’s emotional, social and physical development[i]. But, I fear that exposure to the sun when outdoors can bring about various skin discomforts on my Dana and Danica like rashes and irritation, malodor and stickiness. Having less safe areas where my kids can play is also a big concern. Because of these, I’m guilty of one thing – limiting my kids’ outdoor playtime. I’m sure I am not alone. Many of today’s Moms feel the same way and that’s why JOHNSON’S®, the country’s number one baby care brand trusted by generations, presents a new advocacy campaign to help Moms confidently send their active, growing kids for outdoor play – JOHNSON’S® Play Days. 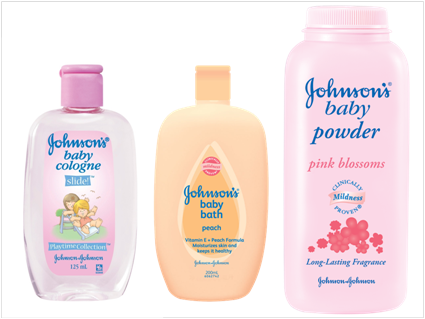 As the number 1 brand trusted by generations of Filipino moms in caring for their babies, JOHNSON’S® extends more help to moms of more active, growing kids as it launches its new advocacy campaign, JOHNSON’S® Play Days, this summer 2012. Sa alagang JOHNSON’S®, Laro Buong Araw! Did you know that 4 out of 10 kids have prickly heat right this very moment? What’s worse is that 10 out of 10 kids can have prickly heat, especially during summer here in the Philippines. Indeed, prickly heat is the top skin concern of moms on their kids. Prickly heat occurs when the body’s sweat glands become blocked. Excessive sweating can cause sweat to become trapped beneath the skin making it easier for dead skin cells and bacteria to collect in your sweat glands. If your sweat glands become blocked, sweat will be trapped underneath your skin in tiny swollen pockets. It will also seep into the nearby tissue and irritate your skin. When the pockets burst and release sweat, it causes a stinging and prickling sensation. 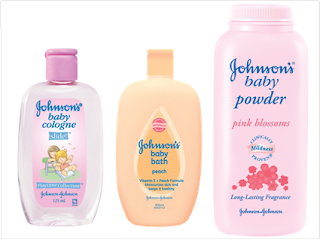 To prevent prickly heat, use JOHNSON’S® Baby Skin Protection Powder on your kid before play. It has zinc oxide that’s a proven anti-bacterial agent and magnesium steareate that repels wetness. With this unique formulation, it helps fight rashes and prevents them from coming back. For kids who love to play outdoors, hot is not necessarily “cool”. One clear sign that your child is no longer a Baby is when he starts to smell more like an adult. This is especially true when he’s out playing in the sun, hence the popular term “amoy-araw”! As a mom, you want your kid always smelling clean and fresh, not just as a reflection of good hygiene, but also as a reflection of your care. Did you know that even when your child is fully clothed or indoors, as much as 70% of the sun’s harmful UV rays can still penetrate and harm his skin? That is why your child needs special protection made for his sensitive skin. Introducing new JOHNSON’S® Baby Daily Sun Protection Lotion, a first from JOHNSON’S® -- protects children’s skin from the sun even when mom thinks she’s got it all covered. Your child’s skin is still developing so it is not yet fully capable of protecting him against environmental stresses like the sun’s harsh rays. It also has less melanin, which acts as natural protection against UV rays, making him more susceptible to sun damage. While his skin might not be showing signs of sun damage now, excessive sun exposure can build up over time and can result in wrinkles, sunspots, and even melanoma, a type of skin cancer. 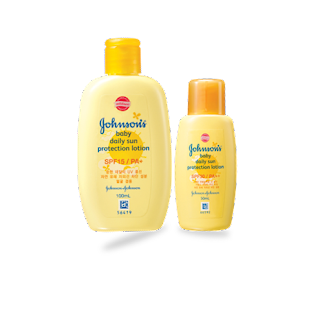 JOHNSON’S® Baby Daily Sun Protection Lotion contains special ingredients that can block as much as 90% of the sun’s harmful UVA/UVB rays, offering wide sun protection. Its Clinically-Proven Mild® formula is light and non-greasy, making it safe and comfortable for everyday use. Grab a bottle of JOHNSON’S® Baby Daily Sun Protection Lotion in Mercury Drug, Baby Company, Watsons and selected supermarkets near you. It is available in SPF 15 100ml and SPF 30 50ml with Suggested Retail Price of PHP230.00 and PHP215.00 respectively.